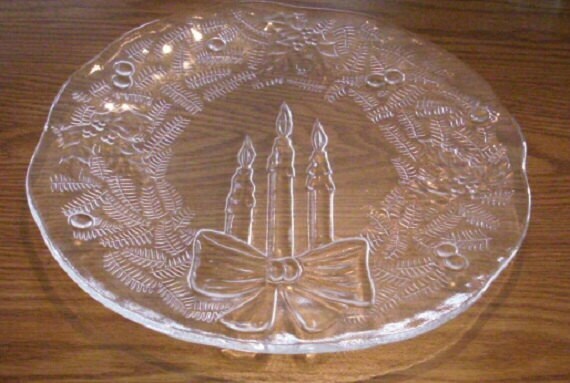 Great for desserts, cookies or candies, this clear glass platter is perfect for holiday entertaining. 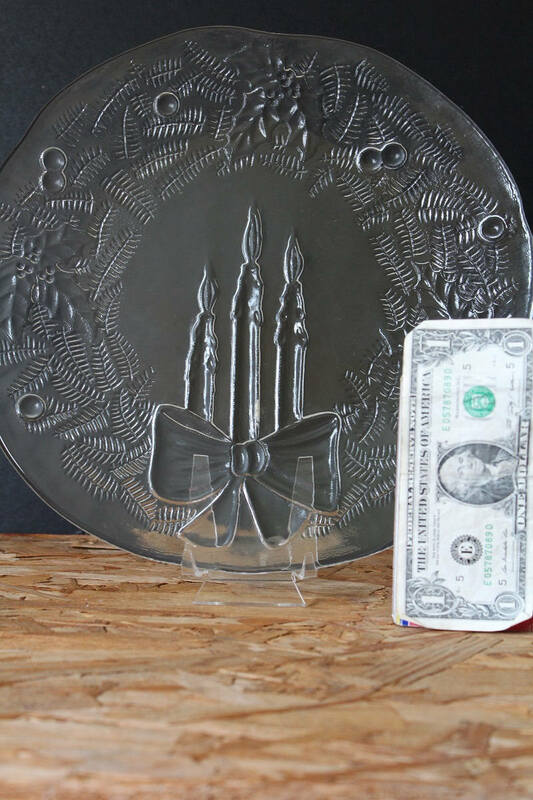 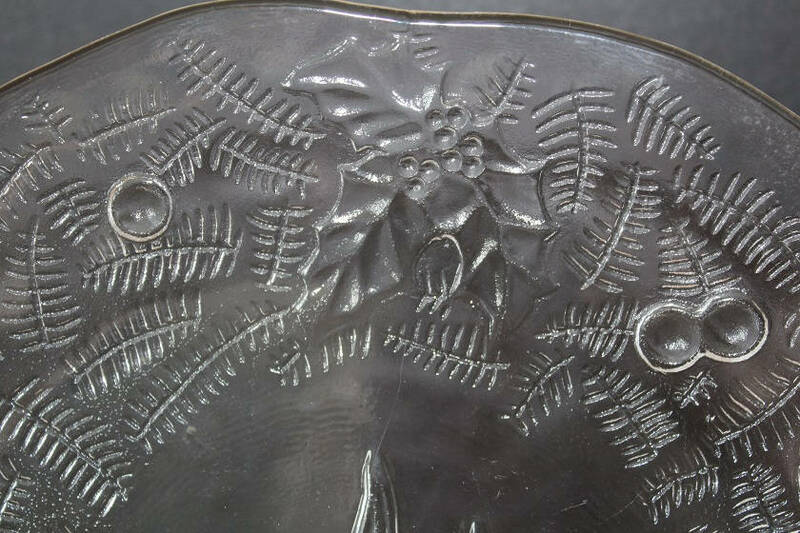 It features an embossed design on the bottom of the plate. 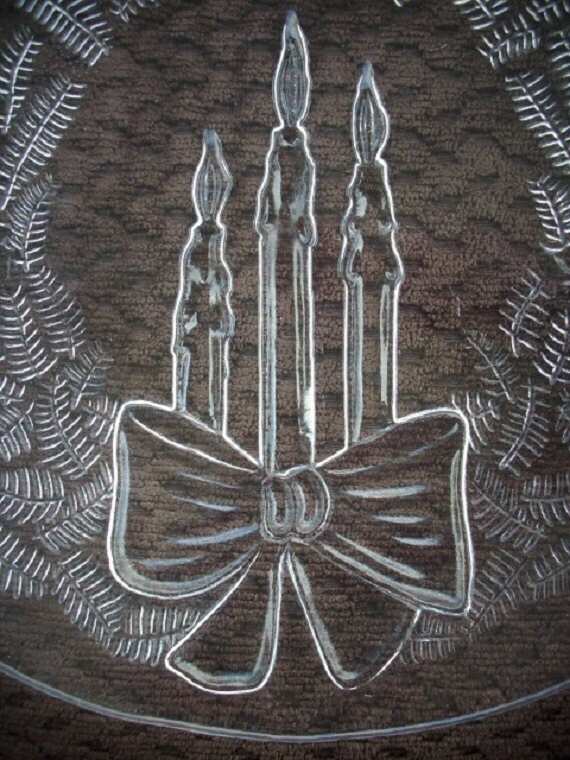 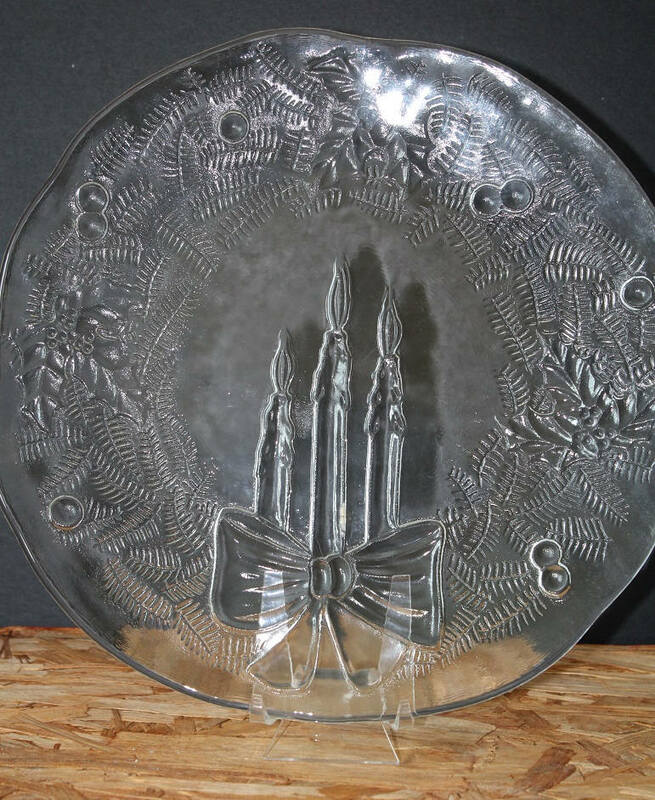 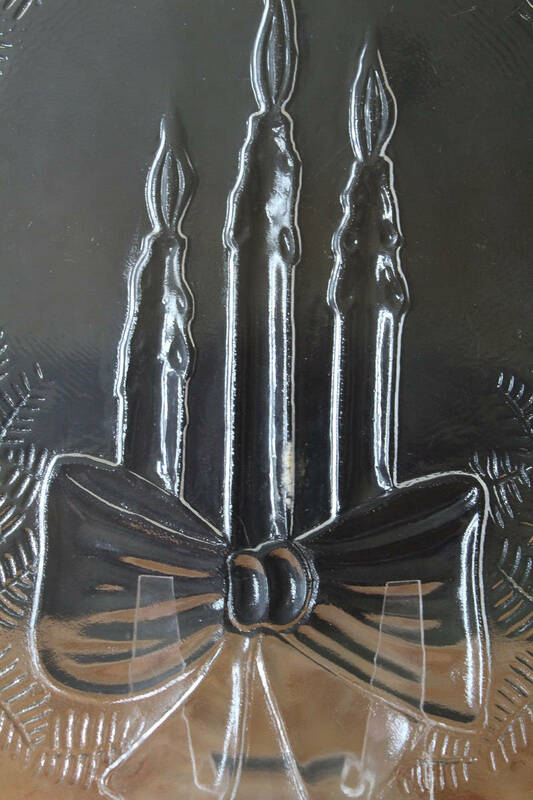 Three large candles are accented with bow and centered on the plate. 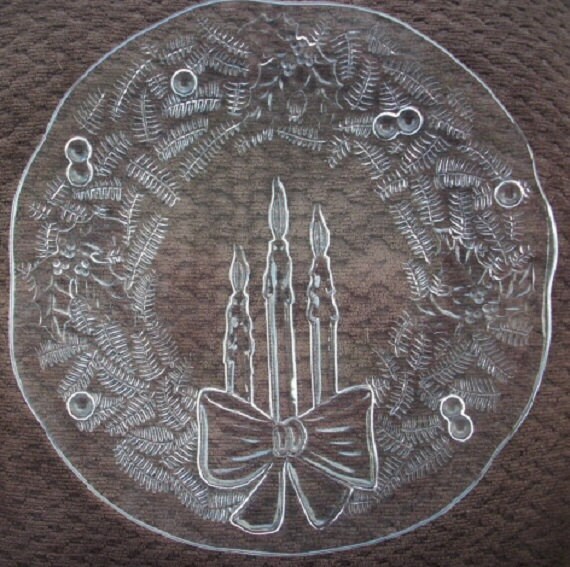 There is a evergreen, leaf, and berry pattern which circles the candles. 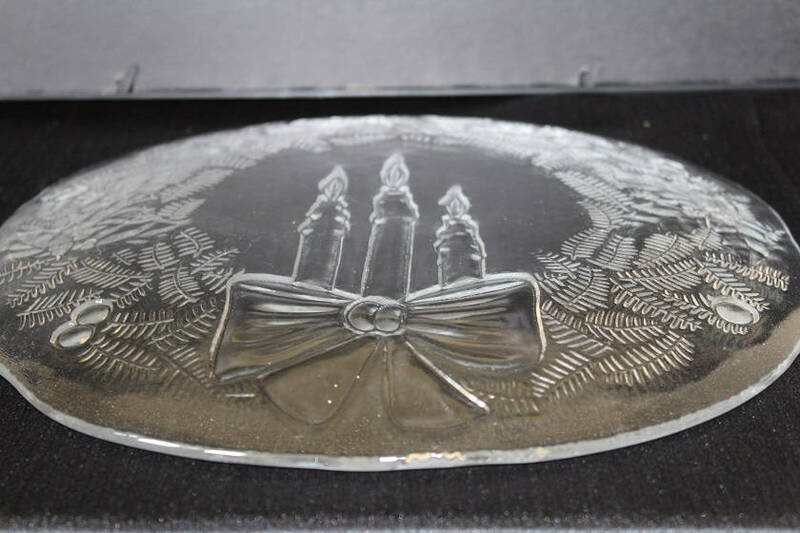 The top side of the round platter is smooth with a wavy edge.